More and more homeowners today are choosing to sell their homes FSBO (For Sale by Owner) and foregoing the help of a real estate agent. 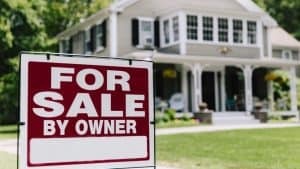 Many FSBO sellers feel that they have more control in the process of selling their home since they’re making all the rules. But selling your home on your own will require a significant amount of “homework” if you’re going to do it right. One piece of advice that is consistently given by the experts in selling your home FSBO is not overpricing your home. It’s very hard to be objective about your own home because of your emotional attachment to it. A professional FSBO appraiser is objective and will tell you what you need to know, not just what you want to hear. DeKalb County Property Appraiser has a long history of working with homeowners trying to selling their own home, as well as realtors needing additional support for their own listings (or to prove to their clients the true market value of a property). In addition to helping you set a realistic selling price so your home will attract buyers, a professional FSBO appraisal from DeKalb County Property Appraiser has many advantages. The FSBO appraisal provides an effective tool for negotiating with potential buyers and their agents. It helps instill confidence in potential buyers since you have written proof of your home’s value. A FSBO appraisal can highlight any obvious repair problems upfront, helping eliminate last-minute repair hassles that might delay closing or having a sale falling through completely. Getting an expert FSBO appraisal from DeKalb County Property Appraiser will help you determine a true list price for your property as well as maximize your chances of selling quickly for top dollar. An overpriced home will not attract buyers and can waste valuable time and money. DeKalb County Property Appraiser is DeKalb County’s top choice for professional and affordable appraisals. Contact DeKalb County Property Appraiser today at (404) 860-1574 for an in-depth consultation and step-by-step guidance by a senior professional at our firm. DeKalb County Property Appraiser has the experience and qualifications to meet all of your appraisal needs.